I’m not a hoarder, really I’m not, but I do save things that I like. Looking for something else, this morning I came upon a small cache of convention badges and buttons. The ones above are all comics related. At upper right are badges from the first two comics conventions I attended, organized by Phil Seuling and taking place in mid-town Manhattan in 1975 and 1976. The ’75 con was at the Hotel Commodore, July 3-7. I just went in for one day, Saturday July 5th. The Barry Smith button is not dated, but I got it at one of those. 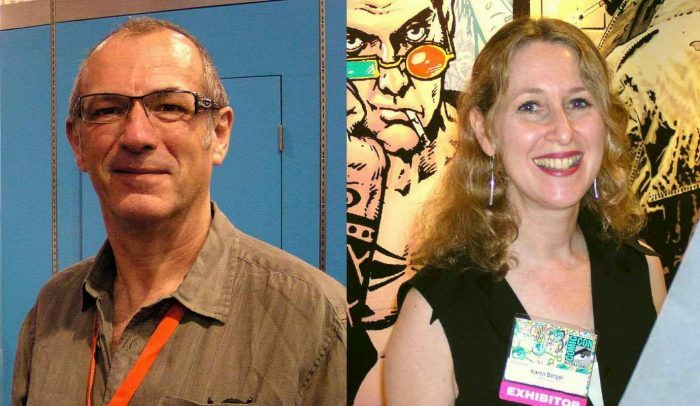 The Berni Wrightson Howard the Duck badge came from the ’76 con, as did the Frank Thorne Red Sonja badge. Both are © Marvel Comics Group. I don’t know when I got the Bat-symbol one, it could be from later. The Spirit Jam badge is from 1981, and not from a con, it was sent to me by Dennis Kitchen for lettering several pages of the many-hands homage story that first appeared in THE SPIRIT #30 dated July 1981. It was later collected in a separate book in 1998. In the same place were these science fiction convention badges and button. 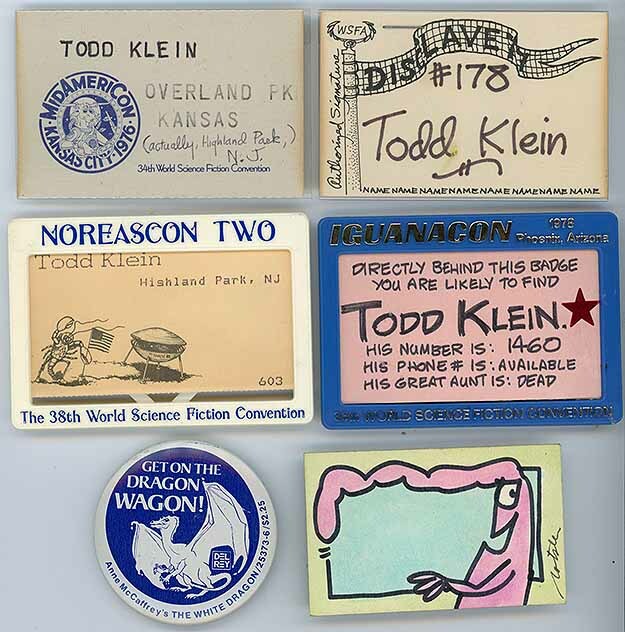 I think my first such con was the one at upper left, MidAmeriCon in Kansas City, Missouri, Sept. 2-6 1976, the 34th World Science Fiction Convention. A Kansas City friend got my badge for me, hence the incorrect town and state. It was the one time I got to see my favorite science fiction writer, Robert A. Heinlein in person, a great thrill. Disclave 1977 was in Washington DC on Memorial Day Weekend. I had fun there, but did not actually have a hotel room, I had to sleep on someone else’s floor. IguanaCon, the 36th World Science Fiction Convention, was held Aug. 30 to Sept. 4 in Phoenix, AZ in 1978. I got cute on the badge. Noreascon Two, the 38th World Science Fiction Convention, was held in Boston Aug. 29-Sept. 1 1980. 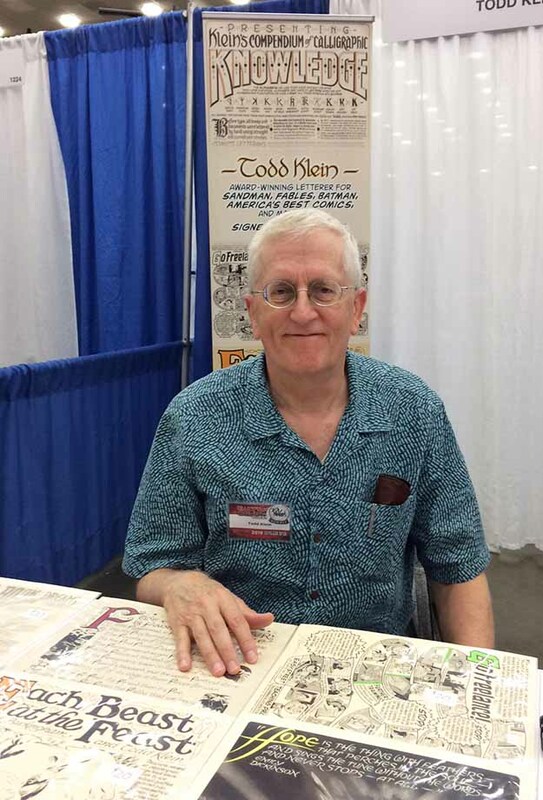 I had lots of fun at all of these cons, and met many of the science fiction and fantasy writers and artists I admired, but after 1980 I was too busy with my DC Comics staff job and freelance work to attend others. “The White Dragon” by Anne McCaffrey, subject of the button, came out in June 1978, so I must have picked that up at Iguanacon. Last is the original art badge by William Rotsler I bought from him at one of these cons for $2. He would sell them in the dealer’s room to cover his con expenses. They were meant to be con badges you would write your name in, but I never did that. Rotsler was a well-liked fan artist and writer. Now that I have these out of the box they were in, I may offer them on eBay in the coming weeks. More file stuff when I have time. This entry was posted in Con Reports, Pulled From My Files on October 6, 2018 by Todd. Images © Todd Klein except as noted. This entry was posted in Con Reports, Lettering/Fonts on October 2, 2018 by Todd. The Exhibit Hall map has just been put up on the Con’s website, and I will be at booth #1223. It’s the same general area I was in last year, straight back from the Exhibit Hall entrance and a little toward the left, but facing the other direction. John and Cathy Workman will again be in the booth behind me, so we have merely a curtain between us. On either side of me are legendary inkers Tom Palmer and Bob Wiacek, which should make for some interesting conversations! Jerry Ordway will be next to John Workman on one side, I can’t identify who will be on the other side. I will be on one panel at the Con, The Ahoy Comics panel from 4 to 5 PM in Room 343-344, and I will be at the ‘Ringo Awards Saturday evening. I plan to be at my table most of the time otherwise, hope to see you there if you’re going! This entry was posted in Con Reports on September 20, 2018 by Todd. 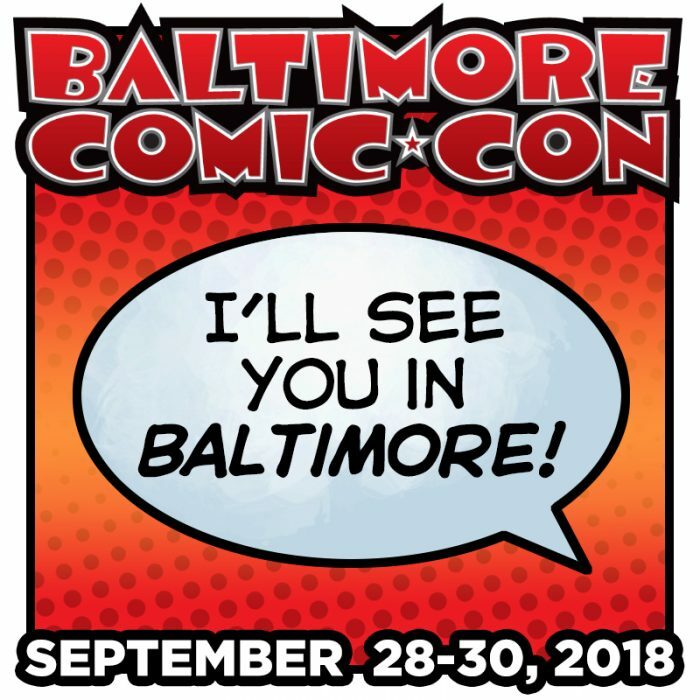 Friday afternoon, Sept. 28th through Sunday afternoon, Sept. 30th I will be a guest and have a table at the Baltimore Comic-Con. Above is my setup from last year, this year will probably be about the same, though I don’t know where I’ll be sitting. They haven’t yet released the Exhibition Hall Map. I will have prints (and maybe other things) for sale, last year’s excellent table assistant Andrea Bergner will be there again to help, and I look forward to seeing and talking with some of you then. This will be my only convention appearance of the year, so do come if you can make it! This entry was posted in Con Reports on September 14, 2018 by Todd.